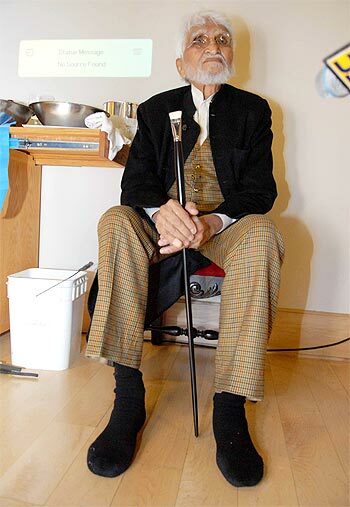 Internationally acclaimed artist Maqbool Fida Husain, living in self-exile for the past 13 years due to threats from Hindu fundamentalists for his works, turned 94 on Thursday. Husain, who dresses flamboyantly and has a penchant for high-end cars like Ferrari but roams around barefoot, celebrated his birthday in New York City where he is currently on tour. Will he ever return to India? He is in New York now. He keeps travelling. I don't know of his plans to come back to India," Husain's son Shamshad, who spent a month with his father in London recently, said. Husain currently divides his time between Dubai and London. 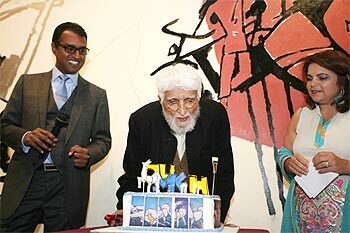 This is Husain's 13th birthday in exile after his paintings on Hindu goddesses courted controversy in 1996. Husain was part of a group of young artists led by F N Souza who wished to break with the nationalist traditions established by the Bengal school of art and to encourage an Indian avant-garde movement. 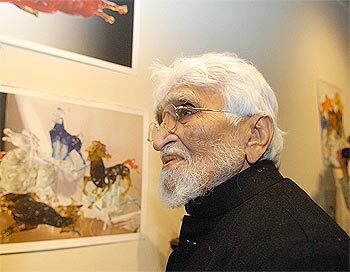 Will M F Husain's market value drop?